If you or someone you know has been seriously injured due to the negligence and careless conduct of another person, you may be facing endless expenses, medical problems, and an inability to enjoy the life you once had. Pensacola personal injury lawyer Ryan M. Cardoso helps individuals and families who have been the victims of negligent conduct seek the compensation they deserve after having their lives turned upside down by a car crash or another accident. In order to collect damages in this context, you generally must prove that the person who injured you was negligent, which essentially means showing that they failed to use reasonable care, and that this failure led to your injuries or the wrongful death of a family member. If you are able to prove that the defendant was negligent, you may be able to recover damages for amounts related to medical expenses, lost wages and earning capacity, pain and suffering, and more. We have helped countless injured victims seek justice following an accident and are prepared to evaluate your case and review your options with you. Motor vehicle accidents are personal injury cases that often receive the most attention in the media, but there are many others. Slip and falls are a common cause of injuries, which frequently occur due to a property owner negligently allowing a dangerous condition to persist on their premises. 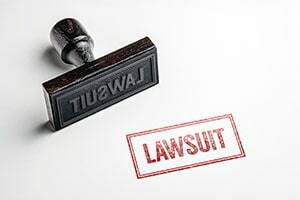 Dog bites, defective products, and medical malpractice are also common grounds for personal injury claims. If you are the victim of domestic violence, or have been violently assaulted, you may have a tort claim for the damages you suffered from an unlawful assault and battery. A skilled attorney can analyze the circumstances surrounding your accident and assess which parties may bear responsibility for your injuries. 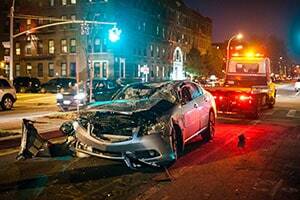 Your attorney can also determine which theory of liability to set forth in pursuing your claim for damages. 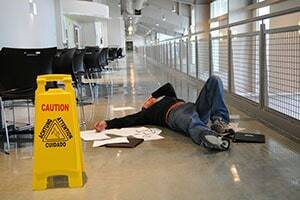 Most personal injury lawsuits are pursued on a theory of negligence. Under Florida law, to prove a claim of negligence, a personal injury attorney in the Pensacola area must show that the defendant owed you a duty of care to act in a reasonable manner under the circumstances, that the defendant breached the duty, and that it resulted in your accident and damages. The defendant may attempt to argue that you acted negligently and that you actually caused the accident, at least in part. Even if you are ultimately proven to have been negligent, however, you are not precluded from recovery. Florida has adopted the comparative negligence doctrine, which allows an injured party to recover damages in proportion to the degree of the other party’s negligence. In other words, if the other party was 50% at fault, they are liable for half of the amount of your damages. While often you must prove that another person’s negligence caused your injuries in order to recover damages, sometimes the responsible party will be deemed strictly liable, whether or not negligence is proven. For example, a dog owner in Florida is liable for any injuries caused if the dog bites someone, regardless of whether the owner was negligent. Similarly, if a person is injured due to a defective product, the manufacturer and any distributor or seller of the product can be held strictly liable if the product is determined to be unreasonably dangerous. Under Florida law, ordinary personal injury lawsuits must be filed within four years of the date of the injury. Medical malpractice claims, however, must be filed within two years of either the date of the injury or the date on which the injury was discovered. The statute of limitations for lawsuits arising out of defective products varies depending on the nature of the product involved. 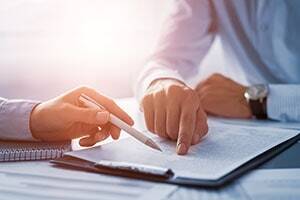 If you have suffered a serious injury, it is in your best interests to meet with a knowledgeable Pensacola personal injury attorney at your earliest convenience. This can ensure that you do not waive your right to recover damages by failing to act in a timely manner. If you suffered injuries due to someone else’s actions, you are most likely entitled to compensation. You should be able to recover the cost of any medical treatment, including future medical care, prescriptions, and medical devices. You may also be able to recover lost wages if your injuries caused you to miss work, as well as loss of future earnings if your injuries affected your ability to earn a living going forward. You may also be entitled to damages for pain and suffering and other non-economic damages for your loss. If you suffered injuries due to someone else’s negligence or wrongdoing, you should confer with an experienced attorney as soon as possible. Ryan M. Cardoso handles each case with the dedication and attention that it deserves. From his office in Pensacola, he frequently represents injured people in Pensacola, West Pensacola, Cantonment, Brent, Bellview, Ferry Pass, Century, Gulf Breeze, Milton, Navarre, Jay, Crestview, Fort Walton Beach, Niceville, and other cities in Escambia, Santa Rosa, and Okaloosa Counties. Schedule a consultation to discuss a car accident, a motorcycle accident, a slip and fall, or another personal injury claim via our online form or by calling Mr. Cardoso at (850) 466-2073.